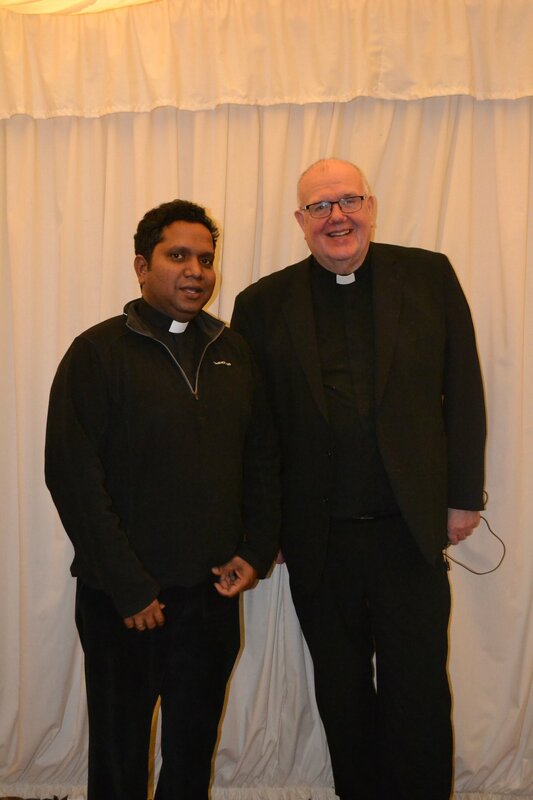 On Sunday 27 January, St John the Baptist Cathedral bid a sad farewell to a popular Priest Father Arockilya Seelan. “Go, eat the fat, drink the sweet wine.” With these words from Ezra the priest was the congregation sent out following a farewell Mass for Father Arockiya Seelan at St John the Baptist Cathedral. 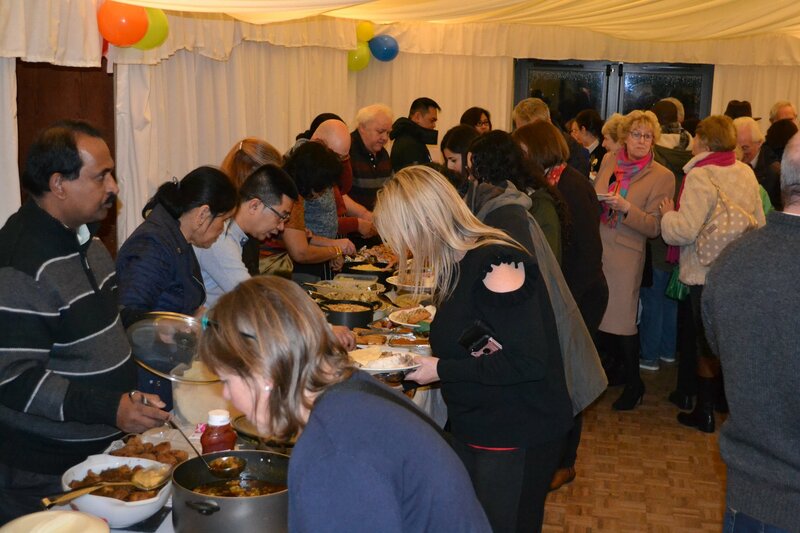 After Father Seelan celebrated Mass, attended by hundreds, a pot luck party was held in the hall, provided by parishioners. 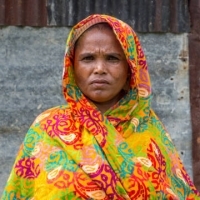 Parishioners were encouraged to come along in traditional dress and bring their national food. So on a wet and windy Sunday night more than 300 people turned out to wish him all the best for his new role and to thank him for his great contribution to St John’s, particularly as chaplain at the hospital. Not only was there plenty of fat, thanks to a whole roast pig, but parishioners had also cooked up a rich with variety of international dishes, in keeping the diverse nature of the parish. A presentation was made and, after a thank you speech by Father Seelan, a farewell cake was cut. 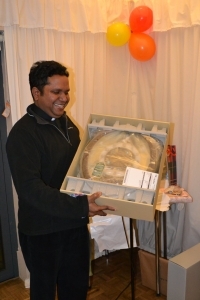 Father Seelan need not worry about cooking while at Peterborough, as one of his leaving presents was a slow cooker. Another was a clock that plays a variety of tunes, including six Christmas carols, and rings the chimes of Westminster on the hour. 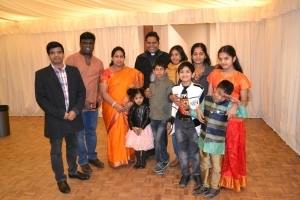 Father Seelan, born in Chennai, India, had served the Cathedral for four years. He did his seminary training in Bangalore and was ordained a Priest on 16 April 2005. He served as a missionary in East Africa. Here at the Cathedral he also worked as a hospital chaplain. 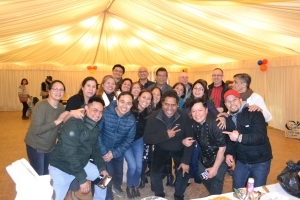 The farewell party was an opportunity for parishioners to express their gratitude to him for his loving ministry and his friendship to us all. We didn’t want him to go without letting him know how much we appreciate him and will miss him so much. We wish Father Seelan every blessing for his new ministry as Parish Priest at St Oswald Peterborough.